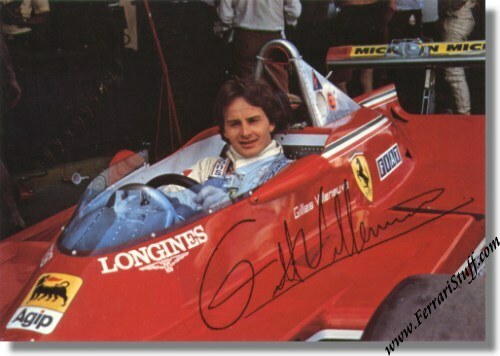 Ferrari Factory Postcard of Gilles Villeneuve. It shows Gilles in his 1980 Ferrari 312 T5. Please note that the signature is PRINTED. It measures approximately 4 x 6 inches. 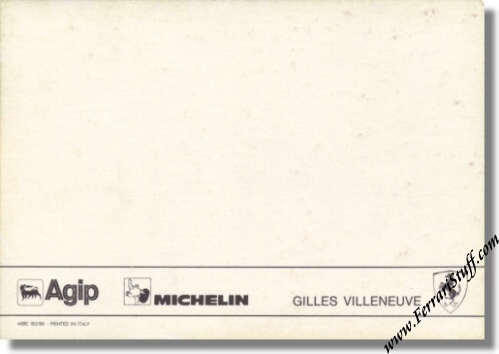 Ferrari Print Number 183/80, issued in 1980, printed by Arbe, Italy.